Good bed , location over a pub, no thanks!!!! Noisy and stuffy until we got a fan going. Stairwell very narrow And tough to navigate with luggage. 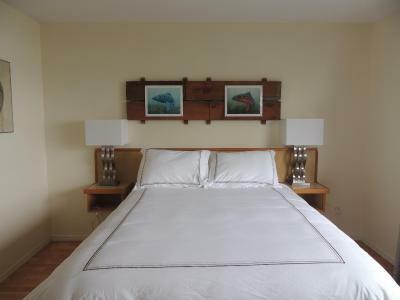 The rooms appeared to have been recently remodelled, they were light & airy, everything was clean & new, from the decor & drapes to the flooring & furniture, the view from the window was to die for. big windows looking put at the harbor. Outstanding view! Comfy bed. Room very comfortable. We had a small fridge in our room and used the communal kitchen for preparing our meals. 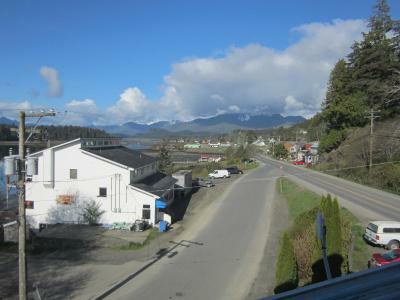 Quiet even tho right on the main drag and close to everything in Queen Charlotte. The location near the ferry was good. Fridge was good, and kitchen was nice to have. 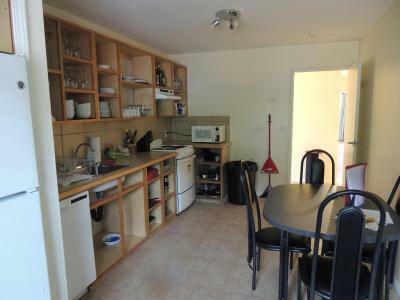 Good common kitchen facilities, good location, nice view, comfortable room with fairly updated items. Facilities were great, we really appreciated the shared kitchen. We got the room with the oceanview and sounds from other businesses did not bother us. The rooms have been tastefully upgraded. Overall we had a great stay and will be back. The bed was very comfortable, the view amazing, the little fridge in the room & access to the larger shared kitchen very convenient. I like the idea of door codes rather than keys for accessing the building and room - no having to fumble for keys to get in. 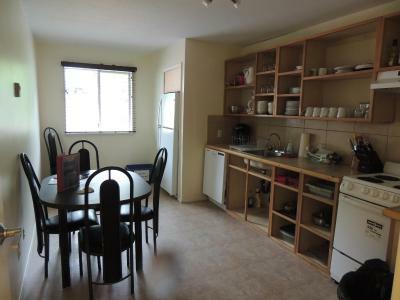 The location is right in the middle of town close to all amenities. There is a potential for some noise due to the inn's close proximity to the marina, the pub and the liquor store but they have already thought of that and provided earplugs should they be needed. Extra nice touch was a little bottle of sparking wine and chocolates waiting for me on arrival! We were fortunate to have been upgraded to the premium room with the view. 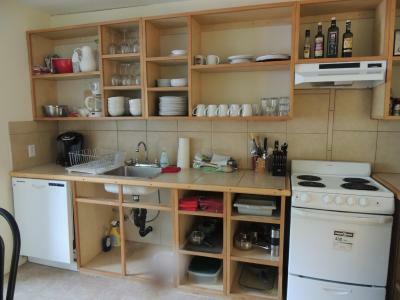 Good shared kitchen facilities, private modern bathroom, comfy clean beds. 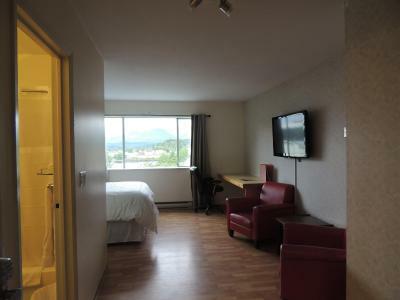 Close to and within walking distance to the visitors information centre, restaurants, and shops. We arrived and found our room wasn't ready yet. When we called the owner she quickly upgraded our room to accommodate us. Great location. Location was convenient due to the fact that we walked on the ferry. Misty Harbour Inn This rating is a reflection of how the property compares to the industry standard when it comes to price, facilities and services available. It's based on a self-evaluation by the property. Use this rating to help choose your stay! 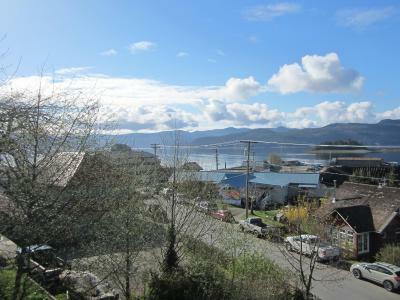 Misty Harbour Inn is offering accommodations in Queen Charlotte. This 3-star inn offers free WiFi. The property has a restaurant. 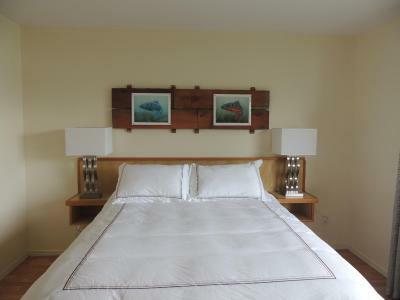 The rooms in the inn are equipped with a flat-screen TV. 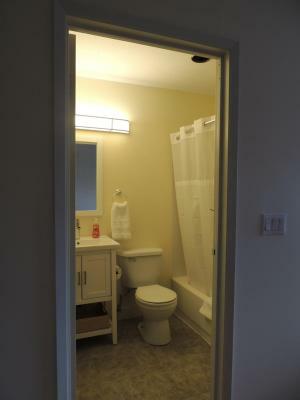 Each room has a private bathroom with a bath. Guest rooms will provide guests with a fridge. 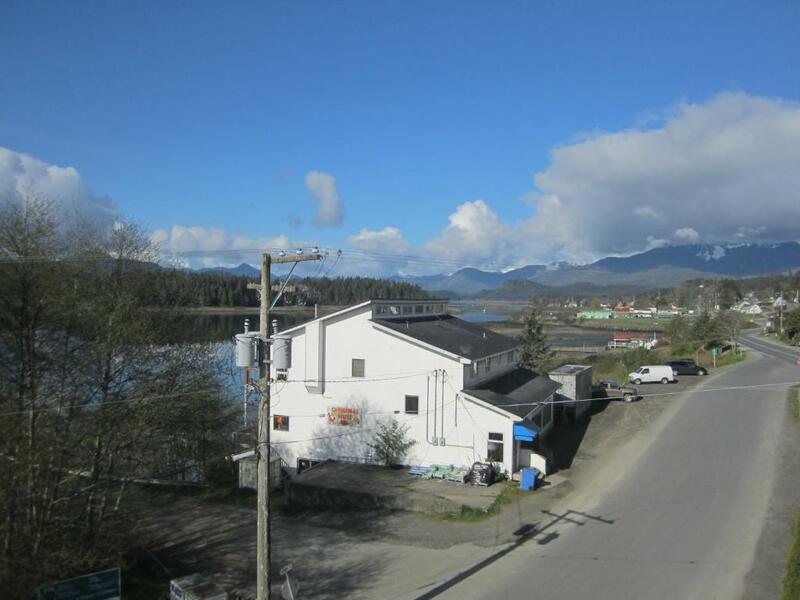 Masset Airport is 69 miles from the property. When would you like to stay at Misty Harbour Inn? 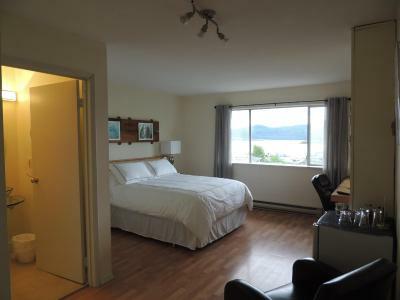 This double room has a sea view, sofa and seating area. 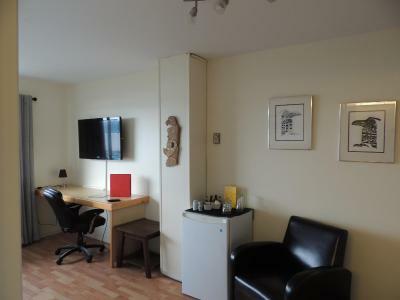 This double room has a seating area, tea/coffee maker and sofa. House Rules Misty Harbour Inn takes special requests – add in the next step! Misty Harbour Inn accepts these cards and reserves the right to temporarily hold an amount prior to arrival. It is managed remotely. Difficult to reach someone. No reception or contact numbers for owners (or people managing)Pass codes of the doors are given by e-mail. If you need something, or your phone battery has discharged at arrival, good luck. Very noisy pub on the first floor. There are ear plugs on bed side tables. The music from the bar below carried into the room til quite late on the weekend, this could be a problem for light sleepers.The provided earplugs were necessary. To noisy. The noise from the bar below resonated through the building and vibrated throughout. A good night's sleep was impossible. There isn't any staff to accommodate any needs i.e. toilet paper or other amenities. The bed was comfy and the room clean. Parking was a challenge. Being located directly above a bar was not conducive to a restive stay. Instructions on how to access were sent at the last minute on a largely non functional internet link, so getting the room required effort. And we ran out of toilet paper on the second day of a 4 night stay, with no replacement in the room. Really avoid this place if you are not comfortable with loud noise in the rooms between 10 pm and 2 am from the pub below – the disco music is very pervasive throughout the building during this time. Or you can use the earplugs that are supplied next to the beds. Attempts to get them to lower the noise level were not successful. The liquor store below also had street noise at nights below the windows. There’s no one on site as there would be in B&Bs, hotels, motels etc. It’s a pity about the loud noise during the night and early morning, and other people staying there agreed with that. 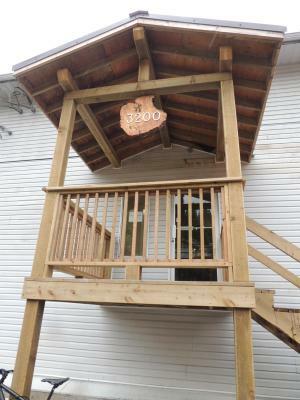 This could otherwise be a good place to stay, despite the relatively higher prices. The restaurant downstairs was having problems with the kitchen, so the menu was limited. The recently renovated rooms upstairs are above a pub and bottle shop, but not connected to them. We were emailed keylock door codes to enter the accommodation, as there is no reception desk. We spoke to someone via phone before we arrived, and could use this number to contact her if we had any problems. 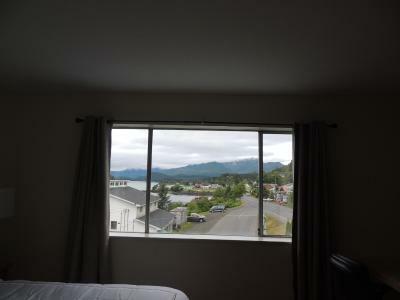 The room we had was at the front of the Inn overlooking the small harbour - a wonderful view! The bed was super comfortable with reading lights and a small desk, and we also had armchairs and a small table, and a bar fridge in the room. The 5 ensuite rooms have a shared kitchen on the same level, only used by guests. We seemed to be the only ones using the kitchen, and bought food at the supermarket nearby (which closes at 6pm). A trip to Haida Gwaii is not easy to plan, but the 5 nights we spent there were a highlight of our Canadian holiday. The accommodation at Misty Harbour Inn was 5 star self-catering, and close to the departure point for Haida Style Expeditions. This company is run by Haida locals and has great day trips into the Gwaii Hanass National Park. Although there is a taxi service at Queen Charlotte Village, hiring a car is a better option as the distances to attractions outside the village are too far to walk. We rented a small car from a guest house close the the Inn for a couple of days, and visited the museum, hiked the Spirit Lakes trail and drove to Massett in the north of the island. We found the Haida people to be proud of their heritage and culture, and highly recommend travelling there to see a wonderful part of British Columbia. No staff on site but very quick and effective responses from the contacts. I was there for 6 nights and usually like to unpack my clothes. While there was a closet to hang some clothes, there were no drawers or shelving for pants, shirts etc. The room was a little cold with no carpet especially on rainy days. Please include the SSID for the Internet. I had a password, but there were 7+ Wireless Networks to chose from. A little noisy on Friday and Saturday nights due to the noise from the pub. A nice, comfortable room. 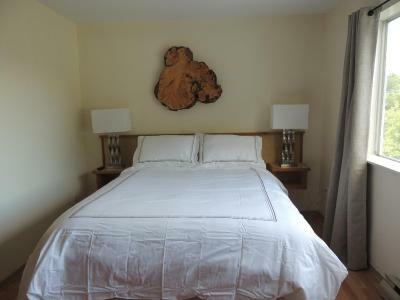 Good bed and linens and towels. The communal kitchen facilities were very good. No signage, couldn't find it and it was very frustrating. There is no onsite staff just a cell phone contact. Not much parking, only street parking that is shared with the other businesses that are also in this building. Those businesses being a pub, restaurant and liquor store. The ocean view from the window. New decor and shared kitchen.